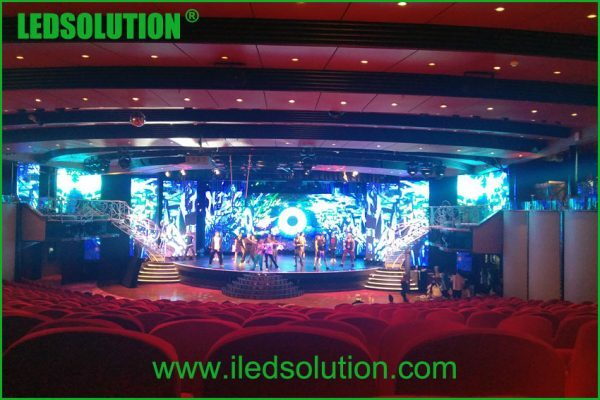 LEDSOLUTION just finished the installation of a 120m2 P6.25 indoor die-cast LED display on the stage of a luxurious cruise. Thanks to the trust of our customer, our LED displays have been purchased and installed on several luxurious cruises. The performance hall can accommodate several hundreds of audience. The main viewing distance to the stage is over 6m. Our P6.25 LED display is an excellent option to fit the stage dimensions, and to show clear image to the audience. We sent a technician abroad to support the customer. With the guidance of our technician and hard work of the installation group, the installation of the LED panels went on very smoothly. After installation and testing were done, they run the LED display and dancers made rehearsal. Wow! The LED display made the stage so amazing and dazzling! Everyone love it! We can imagine, without the LED display, the stage will lose much of its beauty. 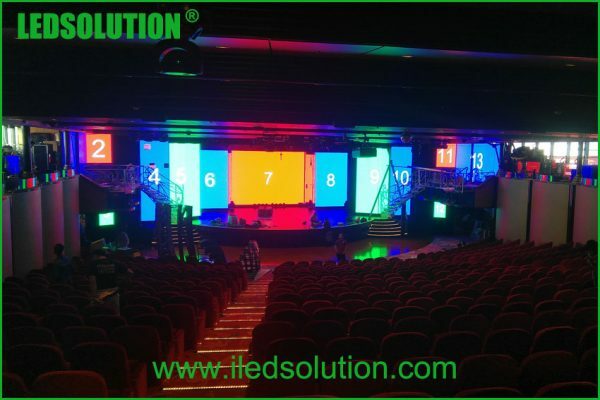 LED display is indeed indispensable for stage events now. 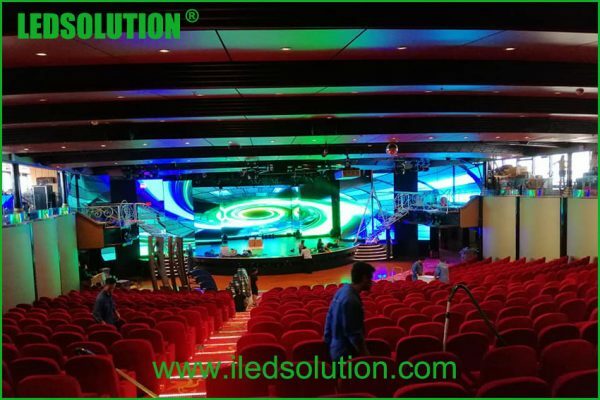 We LEDSOLUTION provide many good products that are fantastic for stage, and we are also able to offer customized solutions to meet special requirements. We hope our quality products and continuous supports will help more and more users. Feel free to contact us if you need anything we offer.